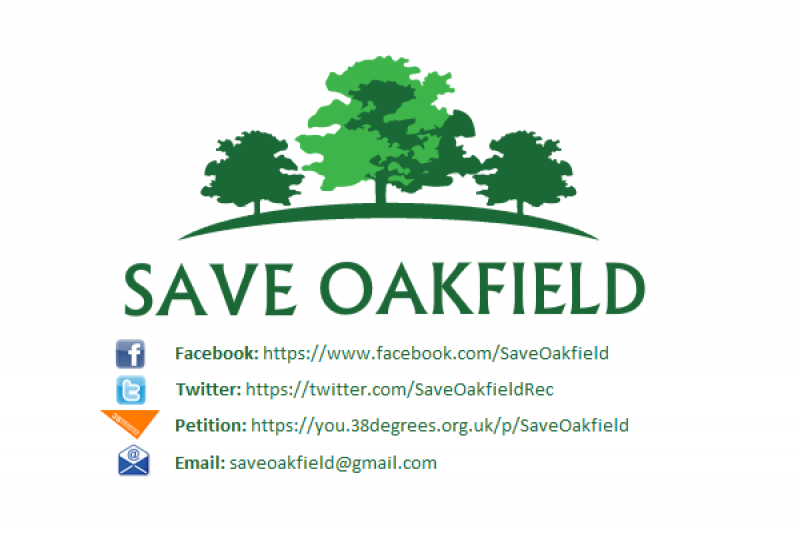 For two years now Save Oakfield Group has been trying to protect Oakfield Recreation Ground from the threat of development. It's owner, the Heart of England Co-operative claims to be at the 'heart of your community', but is pursuing the destruction of this much loved, much needed field, in pursuit of cash. Having recently had a planning application rejected, the Co-op has fenced off the field in an act described by local Councillors as 'despicable and childish', rendering it inaccessible to anybody at all. The Co-op is now appealing against the Planning decision, and Save Oakfield is continuing to investigate ways to reinstate and secure the future of this much loved and much used community facility. More information can be found on our website - www.saveoakfield.co.uk. In the short term, we are fund-raising to cover the professional and legal services we desperately need in order to successfully oppose the Co-op’s appeal. Primarily, we are seeking the assistance of a professional planning expert. Depending on their level of involvement, the cost will vary greatly. In order to represent ourselves under guidance of a planning consultant, the likely minimum cost is around £2,000. For full representation by a planning consultant and planning Barrister, the cost is more likely to be around £15,000. The more professional advice we can afford, the better our campaign to protect Oakfield. With the untiring support and assistance from our local Councillors, our costs have largely been met so far, and we are extremely grateful to Ish, Maggie and Steve for all their help over the last two years. Committee members too have picked up the bill for various other expenses, but we now need your help to give us the greatest chance to prevent planning refusal being over-turned at Appeal. No matter how small the amount you can give, it could really make the difference between success and failure! On conclusion of the Save Oakfield campaign, any excess money will be donated to a local green charity.